Did you know that a group of turtles is called a “bale”? And that turtles have their own water filtration system? It’s true. I read it on the Internet. 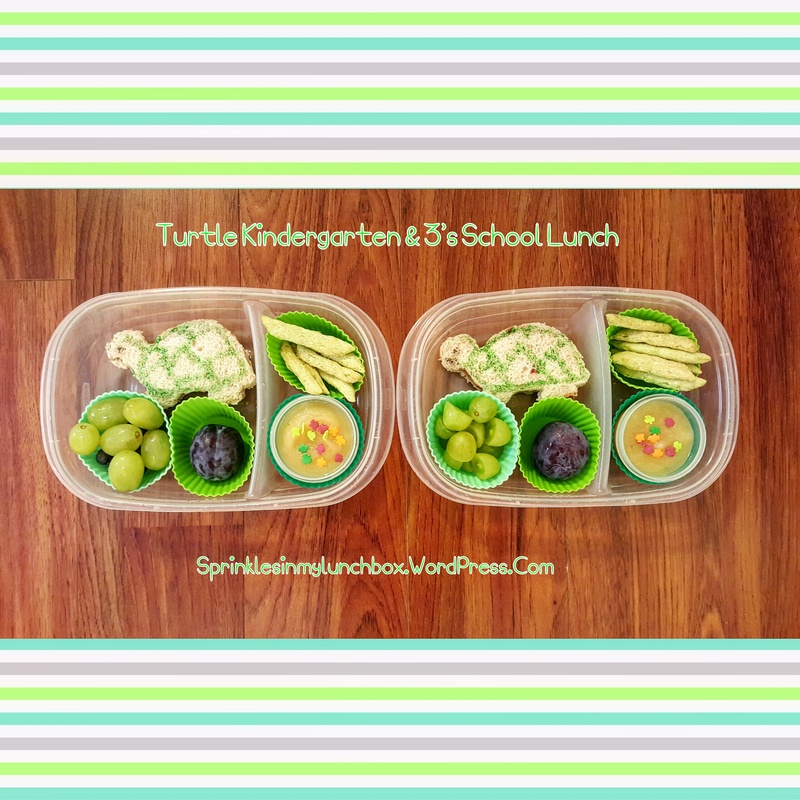 For tomorrow’s lunches, I went with a turtle and green theme. Only my Bigs will be in school tomorrow, but I didn’t even think about that until after I’d already made Smalls’ lunch, as well. I made turtle shaped sunbutter and strawberry jelly sandwiches. I used my Food Writers to add details. 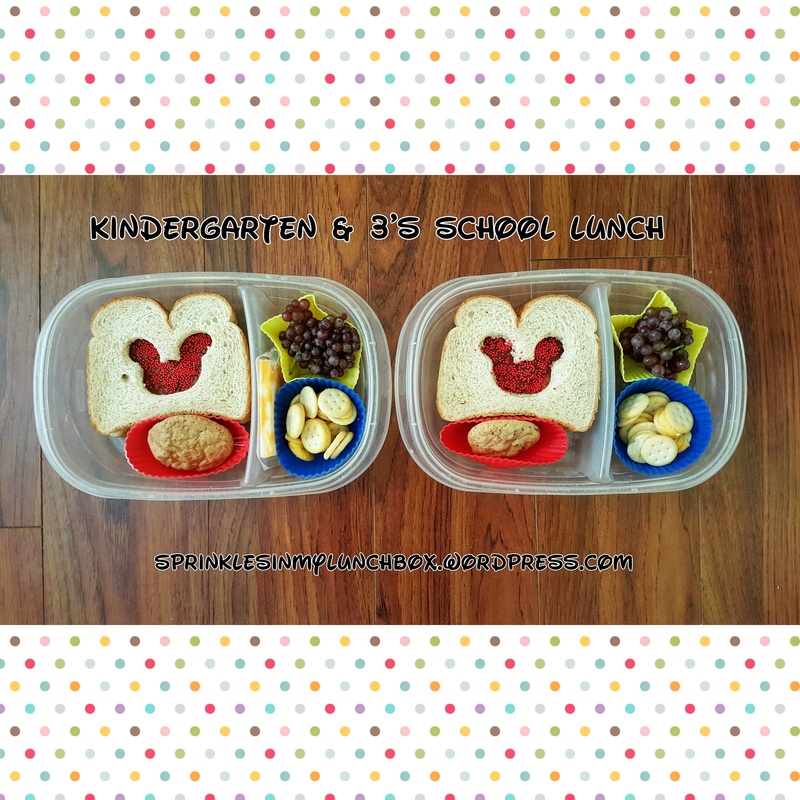 The boys ate the sandwich scraps as I made these lunches. 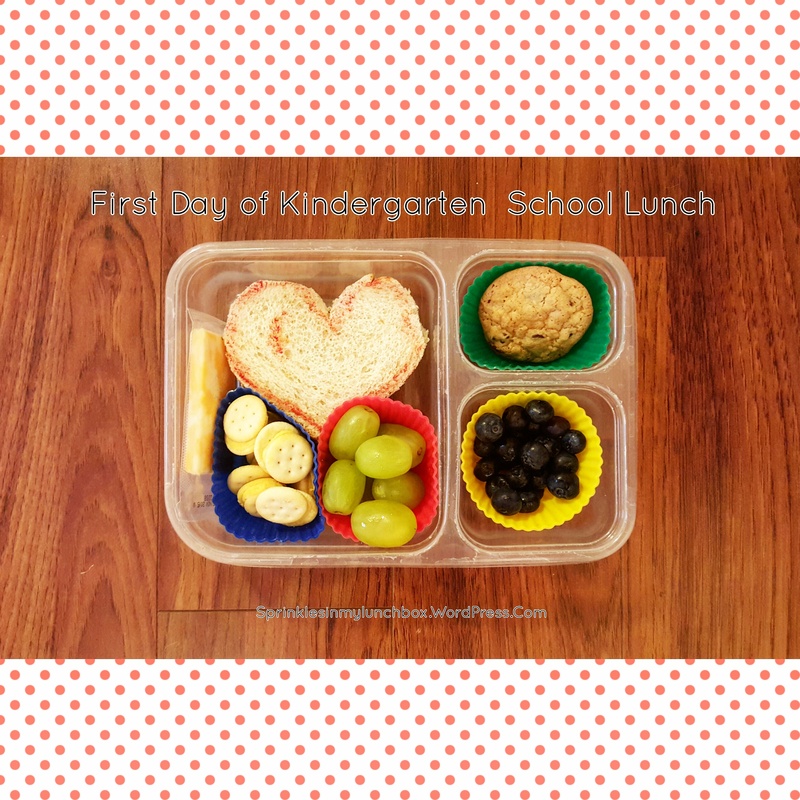 I also packed cotton candy grapes, blueberries for Bigs, a cute little plum, snap pea crisps, and applesauce with turtle sprinkles. Tomorrow, my “baby” Bigs starts Kindergarten. He’s smart as a whip, he’s super observant (an ol’ eagle eye, just like his Mama), he’s clever, he’s hilarious. He’s great at so many things (building stuff, writing sweet letters and cards, swimming, karate, doing dishes, keeping me company, feeling empathy, etc.). I could go on for days. He is SO so special. He’s going to do GREAT in Kindergarten. He has a really wonderful teacher and I am so excited to see where this year takes him. For his first lunch, I went easy [on myself]. It’s been since May, that I’ve done a “special” lunch. And, boy, do I feel it. I am so dang rusty. I chose to do a heart because because I wanted to let my Bigs know that I love him and am thinking of him, even when we are not together. I made a sunbutter and strawberry jelly sandwich, and used my Food Writers to add some details. This year, there is a sweet friend in his class with a terribly dangerous peanut allergy, and our entire Kindergarten is tree nut and peanut free. Thankfully, my boys like sunbutter and it is a great alternative to peanut butter. I also packed Horizon Organic cheddar sandwich crackers, cotton candy grapes, colby jack cheese, blueberries, and a homemade chocolate chip cookie. Godspeed my little one! I am so proud of who you are, and I love you SO SO much.